AIIMS Bhopal Jobs Recruitment Notification 2019.All India Institute Of Medical Sciences Bhopal inviting applications for the positions of faculty positions namely professor, associate professor and additional professors in Anesthesiology, Anatomy, Cardiology, ENT, Dermatology, General Medicine, General Surgery etc departments.Interested and Eligible candidates can apply for the positions. 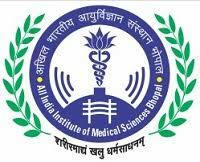 Number of faculty positions to be filled in AIIMS Bhopal on regular/ deputation basis are 119. Post graduation/ DM/ MD/ MS/ M.Ch holders from a recognized university can apply. Aspirants those who are applying for AIIMS Bhopal Faculty Recruitment 2019 must have minimum post qualification experience. Maximum upper age limit for professor and additional professor posts applicants is 58 years. Maximum upper age limit for associate professors is 50 years. Selected candidates as professors will get pay in the level 14 (Rs.1,68,900-2,20,400/-) as per 7th CPC and in the pay band 4 (Rs.37,400-67,000/-) as per 6th CPC. Selected candidates as additional professor will get pay in the level 13 as per 7th CPC or pay band in the level 4 as per 6th CPC. Selected candidates as associate professor will get pay in the level 13 as per 7th CPC or pay band 4 as per 6th CPC. AIIMS Bhopal hires candidates through interview session. Candidates can apply for AIIMS Bhopal Recruitment 2019 through ONLINE mode. 21st January 2019 is the start date and 06th March 2019 is the last date to apply online. And send to hard copy of application form within 15 days. https://aiims-edu.com/recruitment/ is the link to apply online. Administrative Officer, All India Institute of Medical Science (AIIMS) Administrative Block, 1st Floor, Medical College Building Saket Nagar, Bhopal-462020.